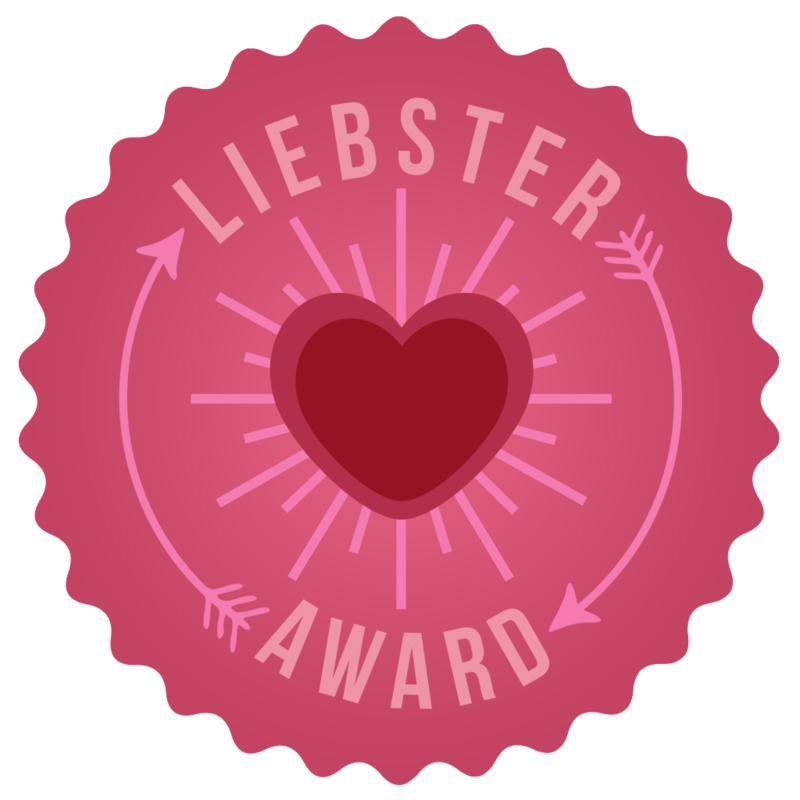 I’ve Been Chosen for a Liebster Award! You can’t imagine my surprise when I saw my notification last night that I had been nominated! So, first and foremost, I would like to extend my sincere thanks and gratitude to Ashley at Musings & Adventures in living. Then, of course, the anxiety crept in. The first rule- “Tell 11 random facts about yourself”, no problem! I do that regularly in my blogs, anyway. I will get to that in a minute, here. The “Answer 11 questions given to you by the person who nominated you” part is no problem, either. Heck, I love telling people my thoughts about just about anything (hence the blog, duh). It’s the middle part that is giving me a little grief- you see, one of he requirements is to find other bloggers with less than 200 followers and nominate them. Eleven of them, no less. Confession time…I don’t think I regularly read eleven other bloggers. Even if I did, I have no idea how many followers they have. Furthermore, I have no clue how to find that information. So here’s the deal, I will accept this award, and I will, over the course of my next eleven blogs, give you my nominees. I just can’t do it all at once. I want to be real, here, and not just throw any old names into the hat. So I will be on the hunt for my 11, okay? 1) I have a little brother and a little sister. My brother and I share a mother, my sister and I, a “father”. My brother is 8 years younger than me, and we only lived in the same house for about four years. I always joke that I am an only child…and so is he. My sister and I didn’t meet until I was in my mid-thirties. We found each other on Myspace. No, I am not joking. 2) I have two tattoos and one piercing. Not bad for someone who was on drugs for as long as I was! 3) As outgoing and socially comfortable as I am, I absolutely loathe the beginning of new relationship. All the uncertainty is torture for me. Sexual tension makes me want to pull my hair out. I just like to get the ball rolling, or forget it. 4)I had to testify in a murder trial once. 5)I have really bad taste in men. I have had one upstanding boyfriend who I have no regrets about dating, and two who read this blog regularly. They can draw their own conclusions. 6) I hate flying so much that I don’t even want to discuss it anymore. I can’t think about it. Next time I fly, I will be heavily medicated. 7) I am a terrible liar. 9)I have lived in my house for over two years now, and this is a miracle for me. I am a gypsy, totally. I love starting over, somewhere new. This is hard on kids, though, I hear, so I am trying to stay put. 10) I am not a big fan of shopping for long periods of time, unlike my mother and my oldest daughter. Get in, get what you need, get the hell out- that’s my motto. 11) I believe in God, 100%. You may or may not like this. I could care less. Nor do I care what you believe in, nor do I think discussing (ie, arguing about) it is a good idea. To each his own. REALLY. 1) Why do you write? 2. If you could accomplish only one thing with your blog, what would it be? Well, of course, the best possible thing I can think of ever coming from this blog would be to catch the eye of a really great agent, who wanted more than anything for me to send my manuscript (yes, I do have one finished, and one half way there, not to mention ideas up the wazoo.) to him/her, and propel me to international, albeit quiet, literary stardom. Of course, just being able to do nothing except write would also be nice. I wouldn’t mind at all being a syndicated columnist, either. But the truth is, I didn’t start this blog for any of those reasons. I just wanted a place to talk about what was going on with me, and maybe let people know that if they were going through struggles with their kids, or with addiction, or with aging, they totally weren’t alone. 3. If you were given money and a full month to travel, where would you go? This one is a toss up between renting a winnebago and traveling all over the United States, and hopping on a plane to travel all over Europe. I couldn’t nail down a destination if I tried, there are just SO many places I long to see. The most important thing I am creating in my life today is Joy. The past years of my life have been soul killing, and I am restoring myself- through meditation, through self- care, through fun and really living. When my stores of joy begin to run low, I need to start working at it a little harder. Change it up every day! 5. Who would you choose to be your mentor, if you had the chance? The beauty of being a writer who also loves to read ( and I don’t know how you could be one without also being the other, honestly) is that you are free to be mentored by the most fabulous people in the world, whenever you so choose…other writers! I love Elizabeth Gilbert and Anne Lamott, and of course, JK Rowling. How could I not? 6. How has writing influenced changes in your life? Writing is often a way for me to sort out and organize my thoughts, and so it influences me greatly in that I am able to spot major flaws in my own processes as they are happening…when I am keeping up with myself, that is. A lot of it happens in review, though. Looking back, I’m like “What the hell were you thinking? !” Most of this is around men, of course. 7. If you could meet anyone in history, who would you meet, and why? I don’t really have an answer to that…Albert Einstein fascinates me. I wouldn’t mind going back to take Hitler out (like, with a rifle, not to dinner, duh.). But I don’t really think that way. There aren’t a lot of famous people that I dream of meeting, now or in the past. I would love to just live like a week in every era from about 1870 on…I think it would be fascinating to see the way ordinary people lived their daily lives! 8. How you do stay motivated to reach your goals? This is a funny question, because I am not sure I have actually ever done that- met a goal- before. I have written things down, and then looked back and found that these things have actually happened. Well, I was just sipping my coffee, mulling this over, and it occurred to me that I have, in fact, met some pretty major goals…the way I stay motivated is by breaking it all down into small, manageable tasks. Also, money motivates me, lets be honest…but fun is the biggest deal breaker. If I am enjoying myself, the rest is easy. 9. Where would you like to live? The best answer for this question is EVERYWHERE. I love where I live now. I need to be near water, I don’t know why. It doesn’t have to be the ocean- a river or a lake is okay, although a river over a lake. I like moving water best. But I have the ability to be happy just about anywhere, honestly. I like new things. I like adventure. 10. Who is your greatest inspiration? My greatest inspiration so far has been heartache, renewal, and rejoicing over having risen from the ashes. My greatest inspiration is whatever is on my heart from moment to moment. 11. If you could give a group of people advice, what would it be? The best advice I can ever give someone is TRUST YOUR GUT. You know more than you ever imagined! And with that, I will give you my first nominee, who I love and have no idea how many followers he has or even if he already has one of these bad boys. His name is Benny, and his blog My Ideal Woman, is one of my favorite, and one of the first I ever followed. 1) What were you hoping to get out of having a blog, and have your expectations been met, fallen short, or been exceeded? 2) What are your writing goals, if any? 3) What would a perfect day be like for you? 4) If you found out you had one year to live, what would you change about your life? 5) Why aren’t you doing that now? 6) Do you have a favorite time of day to write, a favorite place? 7) Do you love the distinct smell of a library, and a bookstore, do you know the difference…or am I just a weirdo? 8) Do you feel largely misunderstood by the majority of your non-writing friends, and does this sort of bum you out? 9) What was the hardest thing you have ever been through, and what did you learn from it? 10) What do you find to be the best part of being not as young as you once were? What do you look forward to about growing older? 11) This one is a biggy! Are you afraid of dying? What do you believe happens after death? I’m just curious. Thank you again for selecting me! I look forward to finding ten more bloggers to nominate!